When we think of Kenya, we typically think of endless grasslands, distant misty mountains, and herds of animals roaming free across the savanna. But there’s more to this land than that. Much more. 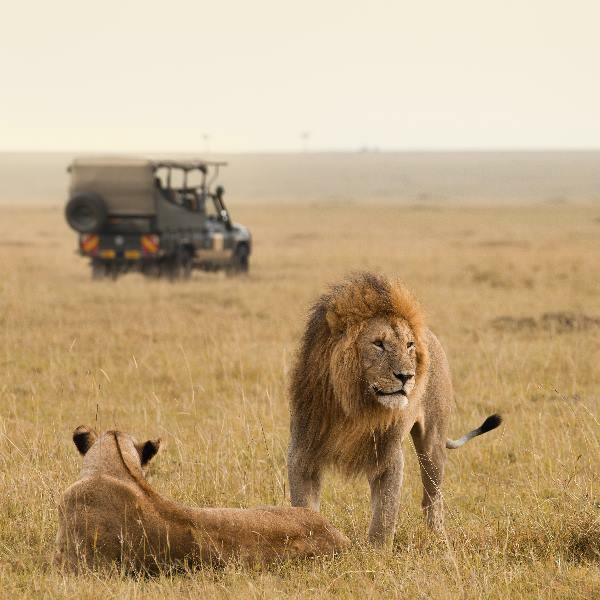 Come with us on a unique adventure that explores Kenya’s famed wildlife reserves and introduce yourself to the unexpected wonder of its pristine Indian Ocean beaches on a trip that seamlessly blends the wild with the peaceful. After arriving in Nairobi, the tour kicks off in the shadow of Mount Kenya at the celebrated Ol Pejeta Conservancy, home to half of East Africa’s black rhino population and dozens of other endangered species. Meet them on a guided afternoon game drive and a visit to the 700-acre Endangered Species Boma, where you’ll encounter some of the world’s last remaining white rhinos. (You can also opt to visit the Sweetwaters Chimpanzee Sanctuary during your stay.) After a short flight, the scene shifts to Masai Mara. Here, you’ll follow roaming herds of elephants, spot lions, and track the Big Five on dedicated game drives, take guided walking safaris, and more while spending the night within the reserve. Last stop: the golden shores of Diani Beach. From a stylish oceanfront resort, you’ll have the option to go deep-sea fishing, scuba diving, or just unwind under the sun on one of the world’s most luxurious beaches. Kenya’s capital is cosmopolitan, lively, interesting, pleasantly landscaped and a good place to get essential business matters sewn up. You can walk from one end of the central business district to the other in 20 minutes and it’s a great place to tune into modern urban African life. Nairobi sprang up with the building of the Mombasa to Uganda railway. Originally little more than a swampy watering hole for Maasai tribes, it had became a substantial town by 1900. Five years later it succeeded Mombasa as the capital of the British protectorate. While today it’s the largest city between Cairo and Johannesburg, its population of 1.5 million is skimpy by world standards.